Heads-up of a coming event. 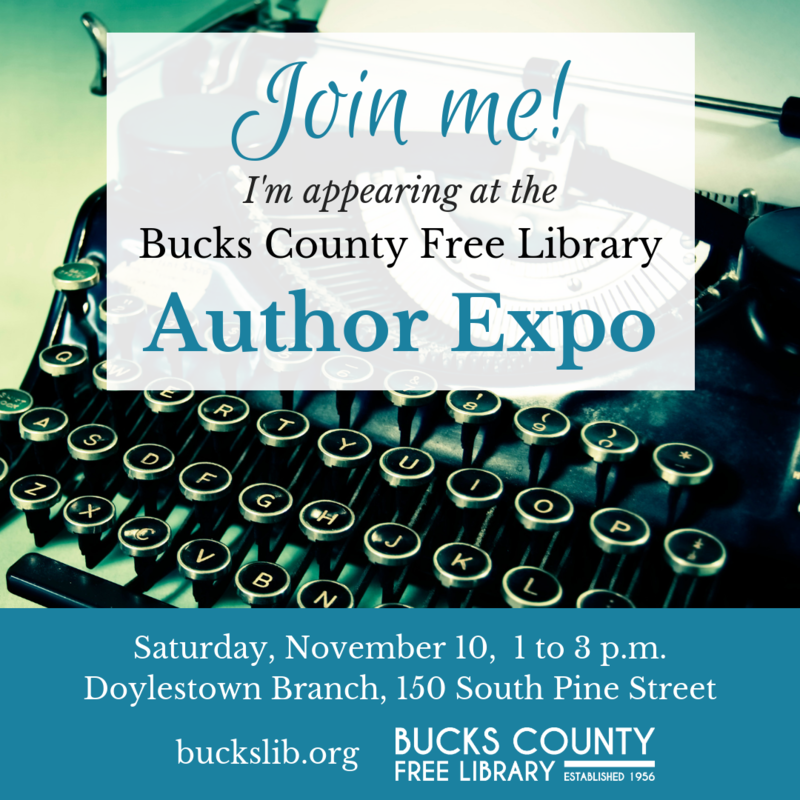 This is the second Author Expo the Bucks County Library System has sponsored. I participated last year and had a fun-filled afternoon. I met some new-to-me authors and connected with some dear friends I hadn’t seen for a while. The library was packed with writers eager to talk about stories – those already written and those still emerging – not just their own, but also those of their fellow writers. The range of conversations in which I participated and overheard was astounding – and inspiring. I’ve always loved libraries. I’ve watched them change and adapt as the times changed. I’m impressed with how modern libraries bustle with activity and creative energy – very different from the libraries of my childhood. Those were quiet, almost reverent, places. I savored their hushed atmosphere. To me, it was as sacred as any church. Do I regret the changes? No. The really important things haven’t changed. The library is still the place to go if you want to immerse yourself in the thoughts and ideas of the greatest minds, the wildest imaginations, the wackiest senses of humor, past and present, that our planet has produced. So … I hope those of you who are in the Bucks County, PA area will drop by on November 3. Everyone else, I hope you can find time to visit your local library, wherever it may be. There’s sure to be something interesting going on.